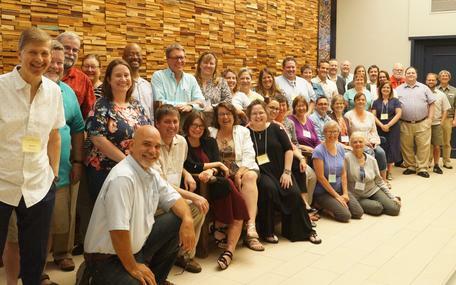 Change Agents and project team at the Cohort 1 Change Agents Workshop, June 2018. Photo by Carol Ormand. SAGE 2YC Cohort 1 Change Agents and Administrators, June 2018 workshop. Photo by Carol Ormand.